If that is you, stick around. Before we start talking about sales funnels and marketing strategies there are some more fundamental pieces you need to get squared away. Today I am going to talk about these at a higher level, we will dive into some of them deeper in future editions, stay tuned. This is something I don’t think coaches spend enough time or energy getting clear with themselves on. Why are you doing this business? Just saying “Because I want to help people” is not going to keep you going when the entrepreneurial roller coaster has one of its downswings. Without a real plan, you may end up helping some people, but you likely won’t make a business out of it. We all go through ups and downs building a business and without a strong foundation, it is easy to get sidetracked temporarily or permanently. 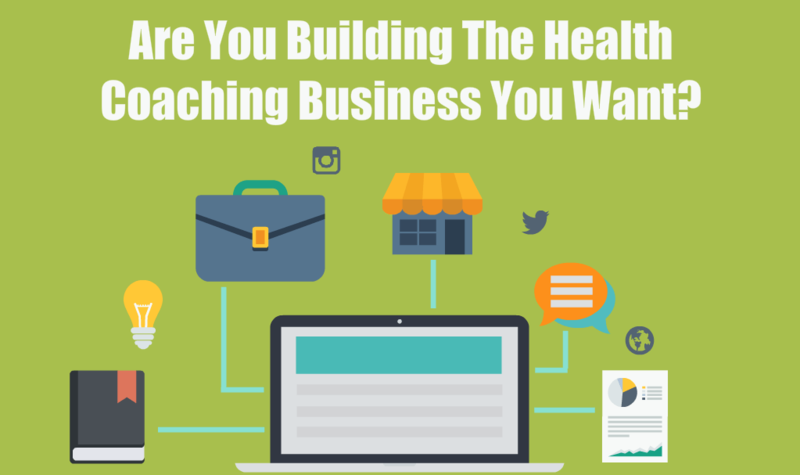 Of course, I know you are passionate about helping other people live a healthier life, but when it comes to sustained motivation through all the stages of business growth you need a rock solid Dream to keep you motivated. Something that will get you out of bed in the morning, get you to make that one extra phone call, produce that next piece of content. I am not one of those people that believes you need to work 90 hours a week and always be in hustle mode to build a decent business, but you do need to be consistent. Just working on your biz when you feel “in the mood” is what is known as a hobby, not a business. This is a trap I see tons of people fall into. They spend hours a week chatting in FB groups with their peers, get on several free webinars to learn some new marketing technique, and countless other things that are not really working on your business. Assuming your goal is to have 1:1 clients, if you are not having several consultations on a weekly basis with the intention of enrolling a client, then you probably are “struggling” in the client department. I know, at school, they made it sound easy. Just give a few public talks and the clients will come knocking down your door. Well, you’ve probably figured out by know, there’s a bit more to it than that. This all is not meant to discourage you, just be realistic. Building a business is a process, it takes time, energy, focus, determination and a BIG DREAM to fuel it all. Why are you really doing this? Do you want to live the laptop lifestyle? Do you want to be able to work from home while your kids are in school? Do you want to be able to travel the world while working your business? There is no right or wrong answer. My experience is that most people are just looking to make enough income that they can make coaching their full-time job, maybe that is $3,000 to $5,000 per month, maybe it is considerably more than that. All of that is most certainly possible, but without a big dream and knowing your why the chances are you will find ways to put it off until “I have more time” or some other nonsense. That day will likely never come. We could…and will, write a whole article all about this but for now what you really need is just to make a decision that you are going to do this. For me, this happened in August of 2010. The pharmaceutical company I was working for (Did I ever tell you I used to be a chemist? ), laid off my entire department. 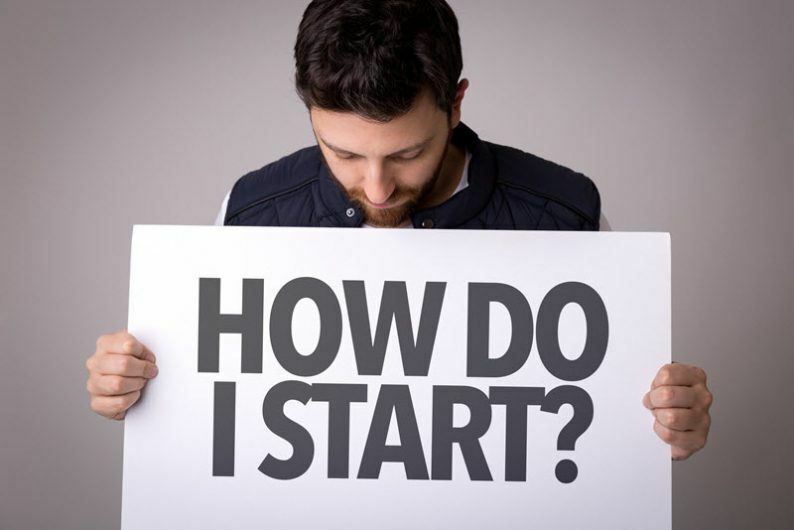 I was recently divorced and had been “playing around” with starting my own business for a few years. Really, it was a hobby more than anything. I remember there were only 2 people in my entire department that were not devastated by the news. One was my director, who was 62 years old and had almost retired the year before. Since he decided to stick around, he got a huge golden parachute between all the severance and retirement, you could literally hear the cheer from his office. I wasn’t quite that elated, but I knew this was my chance. I took the severance I received and enrolled in the Institute for Integrative Nutrition and never looked back. It turned out I was better at the marketing end of things than most of my fellow health coaches and before long Health Coach Weekly was born. This is not to say that it has been a smooth and linear growth curve. There have been tons of ups and downs. I have done lots of things right, but even more things wrong along the journey. The main thing I did right was to stay consistent and never give up. I decided the week I heard I was getting laid off that I would be home when my 2 young boys (who are now 18 and 20) got off the bus every day. PERIOD. It was not “I hope I am able to be there”, it was a flag in the ground, no turning back major DECISION in my life. Whatever I had to do, this was my why for the longest time. I’m happy to say, I’m still home every day when Jason gets off the bus, but my why and dream have grown substantially since then. Now I am looking more to the future and the impact I can have on other’s lives. Who is it that you want to serve? You hear people talking about niche or target markets all the time, but most people don’t spend enough time on this piece either. “I help people get healthy” is not a business model. Especially if you are trying to market yourself online, you need to be much more specific in exactly who it is that you are going to serve. This should not be some vague thing like “I help women lose weight”, you need to drill down to exactly who your ideal client is. What is her name? How old is she? How many kids does she have? What result is she looking for and WHY is it important for her to get this result. This is an entire exercise in itself, but the key is that your ideal client is a specific person who you will be able to deliver specific results for. What sort of transformation are you offering to your clients? Hopefully, this is in alignment with the results she is looking for. Now, do you see why it is important to do these exercises in order? Just going out and developing a program with some generic client in mind before you have done all the work of determining who your ideal client avatar is will result in having a program that probably won’t sell because your client doesn’t want it. That’s it for this week’s article, we’ll continue this next week with the next steps for you to take. Would you like some help getting clear on all of this and what your next steps should be? I am doing something extra special this month. 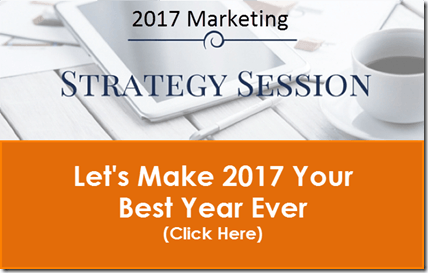 I am booking 2017 Marketing Strategy Sessions through the end of the month where I can help you work out what the next steps for you are in your marketing…and yes, if you want to actually make health coaching a career, you really need to have an actual plan in place. If the current thing you are struggling with is more around your mindset, your WHY and your DREAM, then I would like to get you on a call with Susan Vallelunga. She is a master and helping coaches sort out this piece of the puzzle. Click HERE to book a session with Susan.